My son keeps everything in his backpack during the school year. Finding his essential items when he needs them is always difficult especially when they are being retrieved from deep within the depths of the vortex that is his backpack. Teaching my kids as they are growing up to become more independent and responsible has become easier with one simple change. We've learned this essential travel tip for organization and convenience on-the-go. Thank you to the promotional team from ClakIt for the courtesy of sponsoring this feature with promotional product for editorial content purposes. "Clakit was conceived while hiking in the California mountains and realizing that EVERYTHING I needed was on my back - even items I used often. Every time I needed something I had to take off my backpack, search for the item and repack - whether water, smartphone, map, wallet, snack or permits." How did I help my son to become better organized as he travels between home, school, and his other day-to-day activities? Eliminating the infamous hunt through his backpack, we have changed his course of action with ClakIt StrapPack. Keeping essential items close at hand while hands are free, the ClakIt clip-on accessories attach to the front straps of a backpack or bag, securely holding inside items needing access to without having to take off the backpack. 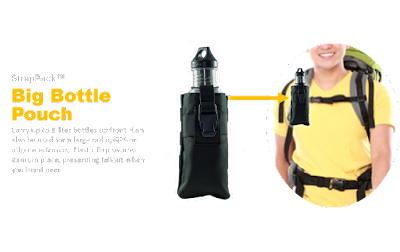 Featuring interchangeable pouches ClakIt conveniently stores your phone, money, water bottle, tissues, or important items needed on-the-go. 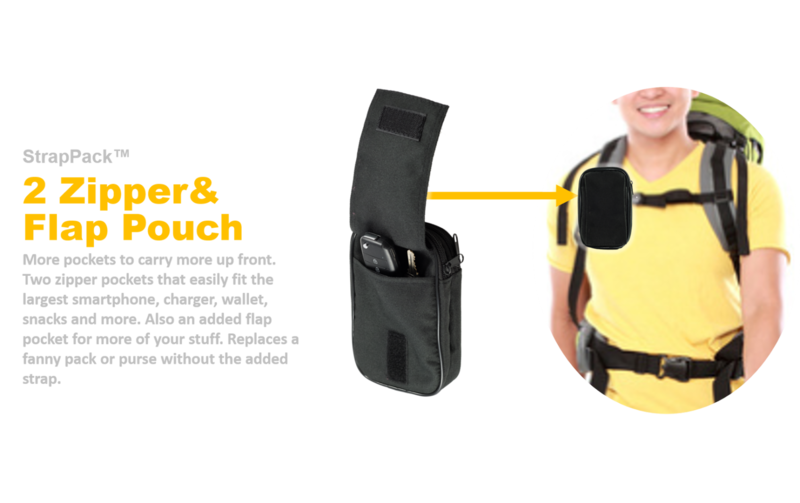 Backpacks, baby carriers or other bags easily accommodate the interchangeable ClakIt StrapPack pouches allowing customized organization and convenience travel needs when commuting, hiking, biking, or daily walks. 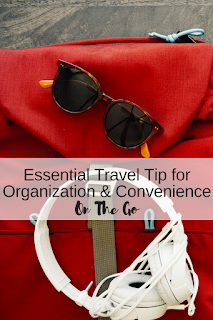 Without continually removing a backpack to access important items, ​and with the additional storage to keep important items accessible, and secure, my son is better organized and that's one less concern for me. ClakIt StrapPack is the Essential Travel Item for Organization and Convenience On-the-Go.